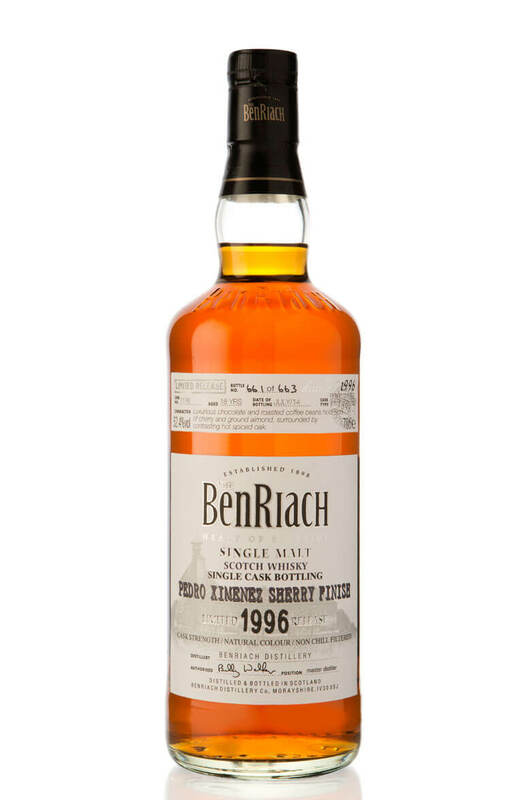 A richly flavoured Benriach that has been finished in a Pedro Ximemex Sherry puncheon. This was distilled in 1996 and is part of the 11 series of single cask whiskies from Benriach. Just 663 bottles were produced. Nose Delicious soft chocolate, dates and vanilla merge gently with warm oak spices. Palate Luxurious chocolate and roasted coffee beans hold hints of cherry and ground almond, surrounded by contrasting hot spiced oak. Types of Barrel used for Aging A Pedro Ximenez (sweet) Sherry puncheon.